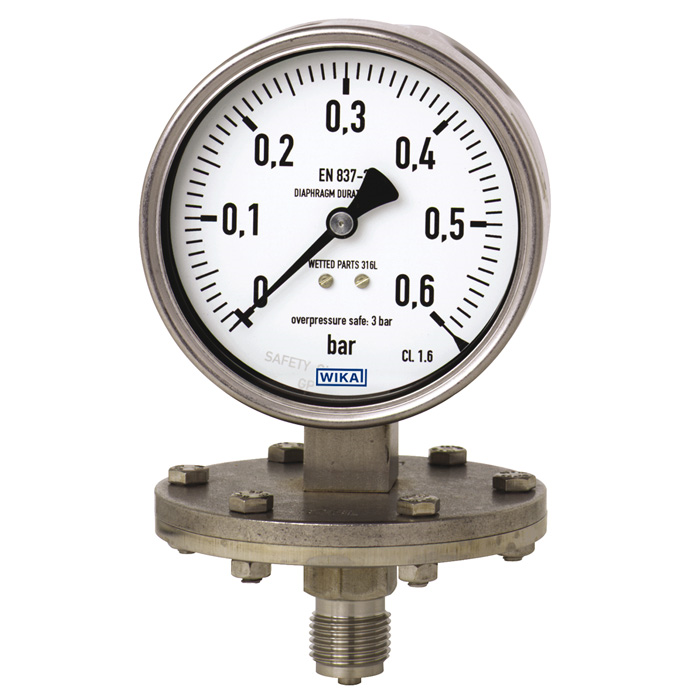 111.10 Bourdon tube pressure gauge, lower mount, standard version. 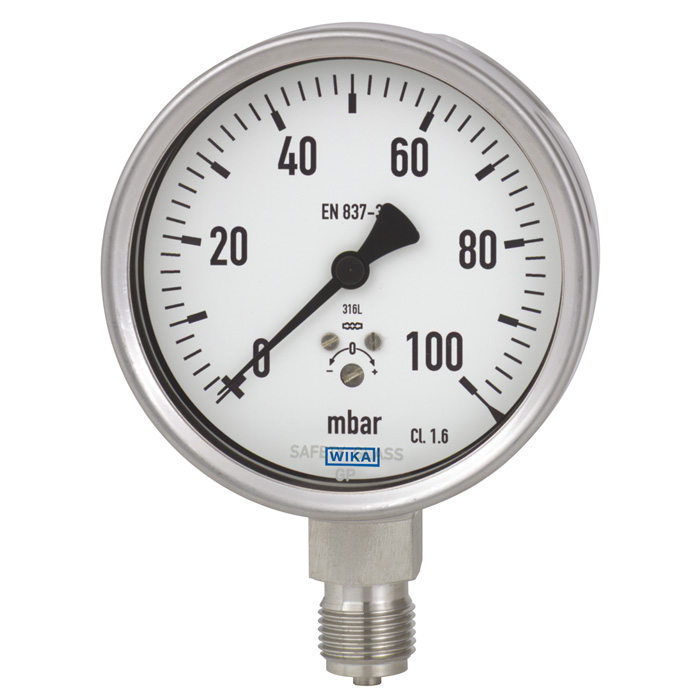 131.11 Bourdon tube pressure gauge, stainless steel version. 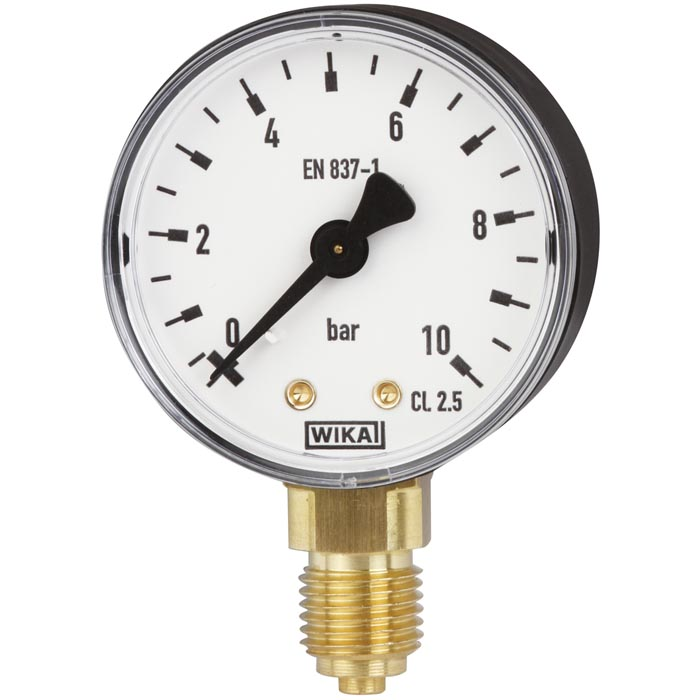 432.50, 433.50 Diaphragm pressure gauge, Stainless steel version. 432.56, 432.36 Diaphragm pressure gauge, Stainless steel version. High overpressure safety up to 100 bar or safety version high overpressure safety up to 400 bar. 632.50, 633.50 Capsule Pressure Gauges, Stainless Steel Series, Without or with Liquid Filling. 732.51 Differential pressure gauge, Stainless steel version, with diaphragm element, all welded construction. 100 Series Low cost, high quality, general purpose pressure gauge. Please contact us for our full range of product options. 200 Series Low cost, high quality, general purpose pressure gauge. 400 Series Low cost, high quality, general purpose pressure gauge. 600 Series Low cost, high quality, general purpose pressure gauge. 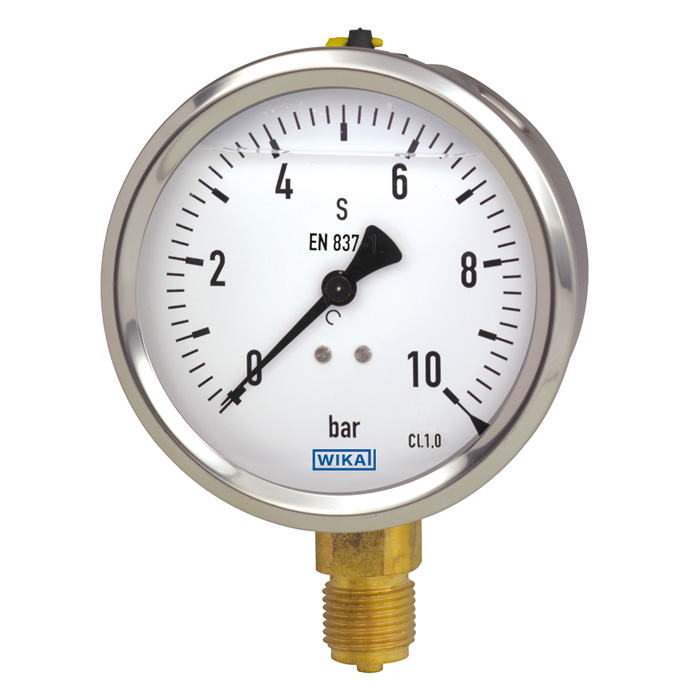 700 Series Low cost, high quality, general purpose pressure gauge.